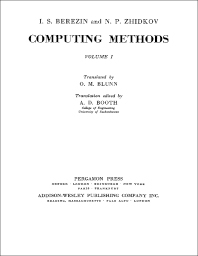 Computing Methods, Volume I generalizes and details the methods involved in computer mathematics. The book has been developed in two volumes; Volume I contains Chapters 1 to 5, and Volume II encompasses Chapters 6 to 10. The first chapter in this volume deals with operation on approximate quantities, while the second chapter talks about the theory of interpolation and certain applications. Chapter 3 covers numerical differentiation and integration. The last two chapters discuss approximation and least square approximations. The text will be of great interest to college students majoring in mathematics or computer science.